Finally excited to share some news as a lot of KAKO’s work has been in the vault :). Kako was featured in Taschen’s 100 Illustrators book and to boot his image made the back cover! “Drawn from TASCHEN’s Illustration Now! 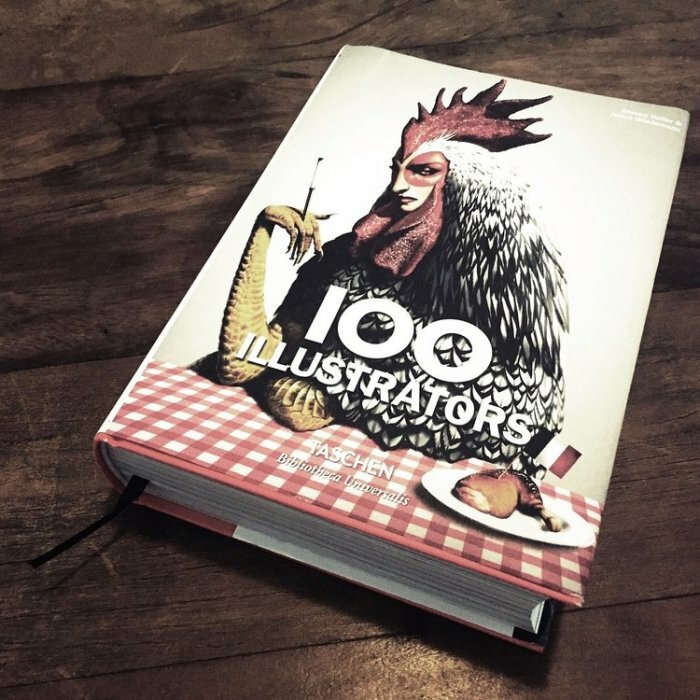 series, this go-to catalog brings together 100 of the most successful and important illustrators around the globe. With featured artists including Istvan Banyai, Gary Baseman, Seymour Chwast, Paul Davis, Brad Holland, Mirko Ilić, Anita Kunz, and Christoph Niemann, the international overview provides an invigorating record of the dynamism and diversity of the illustration scene. Each illustrator is featured with a self-portrait, samples from their portfolio, and a succinct description by Steven Heller, with a supplementary list of selected exhibitions and publications. In his introduction, Steven Heller describes the dynamic realm of illustration today and the challenging process of selection within this highly competitive and ever-moving genre.” We are so proud and extremely honored to be featured in the company of so many other outstanding artists! About the series – Bibliotheca Universalis brings together nearly 100 of our all-time favorite titles in a neat new format so you can curate your own affordable library of art, anthropology, and aphrodisia.